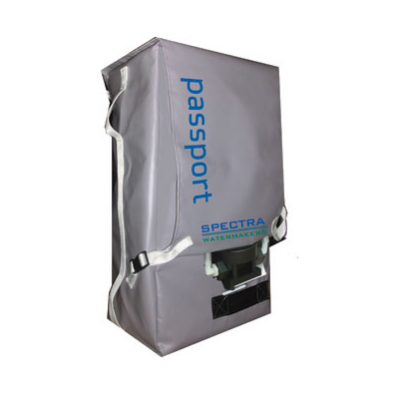 Passport watermakers made by Spectra Watermakers Inc. are designed as rental units. Yes, you have read correctly. You do not have to worry about your fresh water supplies if you intend to take a short cruise or participate in an offshore sailing event. 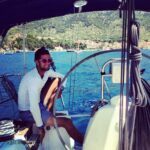 All you have to do is rent a unit, find a place for it on your yacht and use it as long as you need it. The capacity of the Spectra Passport watermaker is 750 l per day or 31 l per hour. It works with sea water temperatures above 10° C. Its weight is 25 kg, which is very important to know for offshore racing and total weight calculations. The dimensions of the Spectra Passport are 69x28x25.5 cm, which means that it can easily be installed aboard your vessel. The initial rental includes a kit which stays aboard for future rentals. There is an install kit with a strainer, quick disconnect fittings, a hose and a tubing. There is no danger of flooding because quick disconnects seal automatically. They make feed water and brine discharge installation and removal quick and easy, without spilled water in the compartment when changing filters. I wish you a calm sea, a fine wind and a strong mast!The Spectra Passport system is made possible by the invention of Z-Ion System, which makes the plumbing simpler, negates the need for fresh water flushing and requires fewer components to be installed in the boat. Renting a watermaker sounds very handy in theory, but the reality is pretty different, because it cannot be rented everywhere. To become a satisfied user of a Passport rental watermaker, take a look at Spectra’s official web pages and check the list of their partners and dealers worldwide. Hello, for the exact prices you will have to contact the producer of the watermaker.